Monika Dorosheff is an educator and a recording artist with . 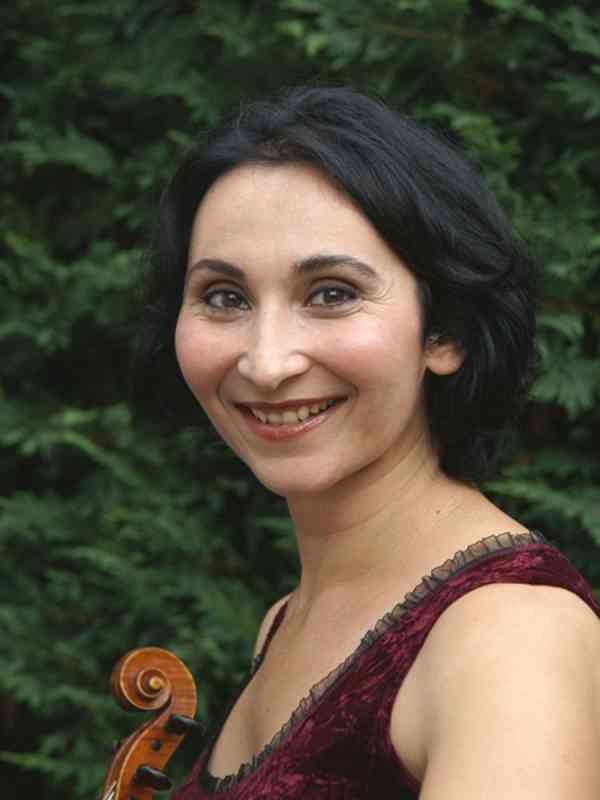 A strong advocate of the Suzuki Method and certified Suzuki Method teacher, Monika has seen many of her students win top awards at competitions such as, The Asian American Music Society International Competition, The American Youth Philharmonic Young Artists Competition, and the Rockville Competition for Solo Strings. Mrs. Chamasyan’s sound was described as “A brilliant and elegantly, lithesome tone” by the “Kultur” newspaper in Bavaria, Germany, and “irresistible” (Crozet Gazette). She is a frequent guest-performer at the music series such as Dumbarton House, The Strathmore, Schlesinger Hall, Hylton Performing Arts Center and The CenterStage at Reston. Monika has appeared as a concertmaster of International Symphony Orchestra of Schloss Weissenstein Festival in Germany, Mid-Atlantic Symphony Orchestra in Maryland and The New Dominion Choral in Virginia. In 2009, she debuted at Carnegie Hall, New York. She is a first prize winner of the “New Names” competition in Armenia and of the Fort Wayne Philharmonic Young Artists competition in which she performed the Brahms Violin Concerto to a critical acclaim. Monika performances have been broadcasted by the German Radio. Monika has been honored by several living composers, such as Tigran Mansurian, Mikel Kuehn and Tom Beveridge to premier and record their works in Europe and United States. In Spring 2015 Monika was invited to perform with Crozet Symphony to a high critical acclaim. Monika and Mark raise their two sons, Peter (12) and Arman (10) in Herndon, Virginia. The boys play violin and cello respectively.